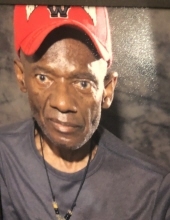 Celebrating the life of Lonnie C Johnson, Sr.
Obituary for Lonnie C Johnson, Sr.
Born to eternal life on December 2, 2018, at the age of 74 years. Combined Services: Friday, December 7, 2018. Visitation: 10-11 AM and Funeral 11 AM at Holy Cathedral COGIC located 2677 N. 40th Street. To send flowers or a remembrance gift to the family of Lonnie C Johnson, Sr., please visit our Tribute Store. "Email Address" would like to share the life celebration of Lonnie C Johnson, Sr.. Click on the "link" to go to share a favorite memory or leave a condolence message for the family.